YG LIFE | Non-mainstream T.O.P’s ‘Doom Dada’ stands at top: What does this mean? [OSEN=이혜린 기자] BIGBANG’s T.O.P is arousing much attention by sweeping across all music charts with his song ‘Doom Dada’, that seemingly has absolutely no appeal to the public. This is quite a rare phenomenon for such a song to knock down charts, because normally, songs that appeal to the general public are thought to dominate the music charts. A song this difficult to understand and peculiar maintaining its top position for more than a day—indeed a bizarre event. Since its revelation at noon on Nov 15, ‘Doom Dada’ has been knocking down whopping eight major music charts and is keeping its position until now, on Nov 16 on music websites like Melon. The rap is hard to follow, the song reeks of dreamlike ambience, and the sound is simply strange. The music video is even more peculiar. Considering in all these factors, a truly mind-boggling phenomenon is happening in the music world. This strange event can be analyzed by looking at the changes in the tastes of the audience. The ‘public appeal’ aspect of the songs that topped music charts was important, and this concept usually contains mainstream taste, pattern and genre with an addictive hook. But it seems like T.O.P has created a whole new category of ‘public appeal’ with his peculiar ‘Doom Dada’. This came as a big surprise to the entertainment agency itself. 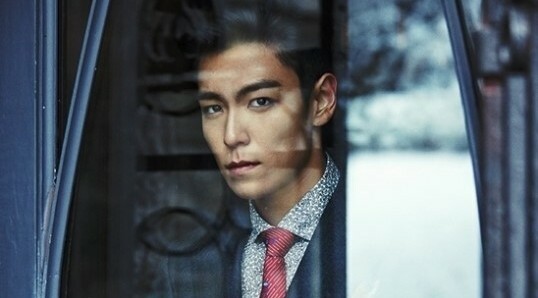 T.O.P has repeatedly said that his new song has no public appeal, and the entertainment agency hinted from the beginning through a series of teaser images that this song will be a “peculiar” one. Their hints seemed as though they were not too caught up with the rankings, so his charts knockdown is no doubt an unexpected one. Until now, many thought that the values of an artist and the pursuit of public appeal went against each other. 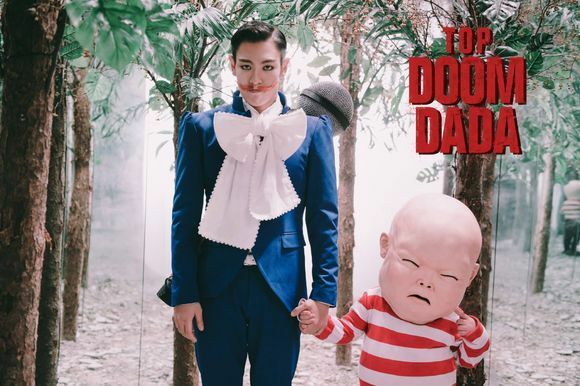 However, with ‘Doom Dada’, T.O.P successfully input all his true colors, and yet it was extremely well-received by the general public. This is indeed a positive sign in the music market. T.O.P was fully in charge of writing the lyrics to the song, while he co-composed it with CHOICE37, who composed BIGBANG’s ‘Bad Boy’ and G-DRAGON’s ‘One of a Kind.’ ‘Doom Dada’ carries a story from T.O.P’s point of view, in contemplation of the contemporary pop culture. T.O.P describes what he sees and feels, with a somewhat rough edge and abstract lyrics, along with a surreal ambience. The song shows an aggressive side of the high-flying artist. Some scenes that parodied Stanley Kubrick’s ‘2001: A Space Odyssey’ and Director Kim Ji Woon’s ‘Nom Nom Nom’ are also providing a source of entertainment for the viewers. On Nov 22, T.O.P will be showcasing a performance that symbolizes the regression of contemporary pop culture, taking the audience on a journey of evolution at the 2013 Mnet Asian Music Awards in Hong Kong. From Nov 16, T.O.P will join the rest of BIGBANG members to kick off Japan’s 6 largest Dome Tour, joined by 770,000 fans. The group tour follows huge successes of individual members, so fans are evermore excited about the reunion of the members for more performances. The entertainment agency commented that after 8 years since BIGBANG’s debut, they are still the ‘hot’ group in the music world, and the ongoing popularity of the group is also reflected thoroughly in T.O.P’s ‘Doom Dada’. 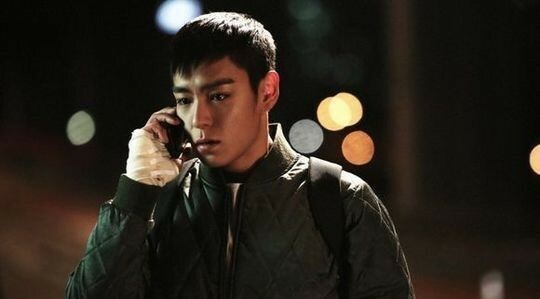 Top’s “Commitment” Tops Box Office.. What Its Record Will Be after National College Entrance Exam Ends?